Are you looking for a good BB cream for dry skin? BB creams are multifunctional skincare and makeup products that conceal, hydrate, and protect the skin from sun damage. Choosing a BB cream for dry skin should be done carefully as some BB creams can dry out the skin further and make it look dull. Using a BB cream for dry skin solves many concerns as you do not have to apply a moisturizer and sunscreen separately. The sheer coverage of the BB cream lends a dewy finish to the skin and makes it look healthier. Offering medium buildable coverage, this BB cream from the Revlon Photoready range is available in three shades and comes with SPF 30. The texture of the cream is light hydrating yet it does not feel heavy on the skin. It glides easily on the skin and covers dark circles and pigmentation to make the skin look even. The staying power of the cream is good as it stays on the skin for the whole day without fading. The price of the cream is moderate. It offers a medium coverage and covers uneven patches efficiently. The cream is very hydrating and offers a decent sun protection as well. The cream is available in three shades that suit most of the skin tones. The price of this BB cream is a bit higher than other BB creams. It does not cover very dark circles as a concealer. This BB cream works well for dry skin as it has a hydrating formula and works as a tinted moisturizer for the skin. The coverage is good and the shade range offers something for every skin tone. The Shiseido hydrating BB cream is a great option for people who prefer a light formula with added sun protection. It comes in a very compact and handy packaging and has an oil-free lightweight formula that gives a natural yet even finish to the skin. It gives a light to medium coverage and stays on the skin for 7-8 hours. This BB cream comes with SPF 30 and enhances the natural radiance of the skin. The price of the cream is higher than other BB creams. The packaging of the cream is very handy and travel-friendly. It has an oil-free formula and comes with SPF 30 for sun protection. The cream feels very light on the skin and covers imperfections with a natural finish. The cream is not available in many shades to suit all skin tones. The price of the cream is high as compared to the quantity. It is a very light BB cream and feels natural on the skin with its hydrating formula. The sheer coverage enhances the radiance of the skin and makes it look even with added sun protection. Korean BB creams are known for their lightweight formulas and this BB cream contains green tea extracts to nourish and repair the skin. It offers a sheer coverage and has a faint and pleasant green tea scent. The cream gives a dewy finish to the skin and has a decent staying power as well. It doesn’t cake up on the skin and conceals minor imperfections easily. The price of the cream is moderate and the quantity is good as one bottle lasts for 3-4 months. The cream contains natural green tea extracts that brighten the skin and prevent breakouts. It has a soothing fragrance and glides smoothly on the skin. The cream moisturizes the skin well and covers imperfections evenly. It offers a very sheer coverage that might not suit all users. This shade has a warm undertone which will not match with every skin tone. This BB cream has a soothing formula and contains natural extracts that repair and nourish the skin. It is good for people who want a sheer coverage and eliminates the need of a separate moisturizer. Enriched with Aloe Vera and mushroom extracts, this BB cream from Skinfood is an affordable option to consider if you are looking for a hydrating BB cream. The cream comes with SPF 20++ and offers broad sun protection. The quantity is good as one tube lasts for 2-3 months and the texture of the cream is very moisturizing. Aloe Vera helps to boost the hydration levels of the skin and mushroom extracts improve the overall skin tone. The price of the cream is affordable. Aloe Vera reduces dryness instantly and soothes the skin. The cream is affordable and offers a broad-range sun protection as well. It offers a medium coverage and is good for covering dark spots and acne. The fragrance of the cream is not very pleasant and can irritate some users. It offers lesser sun protection as compared to some other BB creams. Korean skincare products are known for their unique ingredients and this BB cream uses mushroom extracts to purify and improve the uneven skin tone. It is very nourishing and reduces dryness as soon as you apply it. Made for very dry to dry skin, the Clio Water Me BB cream has a water-based formula that provides an extra boost of hydration to the skin and feels very comfortable on dry skin. It works on the dry patches and uneven skin and makes the skin look even and polished. The formula offers a light to medium coverage and has a mild sunscreen fragrance as it comes with SPF30++. The price of the BB cream is a bit higher than drugstore BB creams but the intensely hydrating formula makes it worth it. The formula is very nourishing and has a water-based consistency. The BB cream offers medium coverage and stays for 10-12 hours on dry skin. It has a mild and gentle fragrance that does not irritate the skin. The price of the cream is a bit higher than other BB creams. The shade of the BB cream might not suit all skin tones. This cream feels very lightweight on the skin and has a watery consistency that glides smoothly on the skin. It has a good staying power and provides a great coverage as compared to other BB creams. Enriched with hyaluronic acid, the Holika Holika BB cream hydrates the skin and offers anti-aging benefits as well. Regular use improves the elasticity of the skin and protects it from harmful UV rays of the sun. It comes in a compact tube packaging and has a smooth texture that feels comfortable on the skin. The cream offers SPF30 sun protection and has a good staying power. It is available in one universal shade. The price of the cream is very affordable. Hyaluronic acid in the cream repairs the skin and makes it look youthful. The cream is available in four variants for all skin concerns and comes at an affordable price. It provides a decent sun protection and feels comfortable on dry skin. The cream comes in one universal shade that might be too pale for dark skin tones. Hyaluronic acid can cause breakouts if used on very sensitive skin. This BB cream is very good for dry skin as it is specially formulated to provide moisture to the skin and make it look even. Hyaluronic acid provides anti-aging benefits and makes the skin appear youthful. Suitable for all skin types, the Clinique Age Defense BB cream is available in three shades and comes with SPF 30++. It has a paraben-free formula and is designed for aging skin that needs protection from dark spots and wrinkles. The cream comes in a tube packaging and the quantity is better than other BB creams. The consistency of the cream is such that it acts as a primer too and improves the staying power of the makeup. The price is high but you can get it at a discount online. It is suitable for all skin types and comes in light, medium, and dark shades. The formula is rich in antioxidants and is paraben-free. The quantity and coverage of the cream are good for the price. It is expensive than other BB creams of similar consistency. The texture of the cream is a little thick. Clinique products are very gentle on the skin and this BB cream works well for all skin types as it has a paraben-free formula and provides multiple anti-aging benefits. The quantity and the shade range make the cream worth the high price. With 8 shades to choose from, The Purlisse BB cream has an oil-free formula and is designed for all skin types including sensitive skin. It has a smooth texture and makes the skin look radiant and fresh. The cream comes with SPF 30 and has a hypoallergenic formula. It has no parabens and contains chamomile extracts that soothe the skin and reduce inflammation. The quantity is good as one tube lasts for a few months. The price of this BB cream is higher than other variants. It contains soothing chamomile extracts for calming the skin and reducing breakouts. The cream is available in 8 shades to choose from. The formula contains SPF30 and is hypoallergenic to suit sensitive skin. The price of this cream is high as compared to the quantity. It provides a sheer coverage that will not cover dark circles. The Purlisse BB cream feels very lightweight and natural on the skin and provides a radiant glow to the skin. It covers minor imperfections well and offers many shades to choose from. Another BB cream from Korea, the Missha BB cream is very popular for its soothing formula with high sun protection. It contains chamomile extracts, hyaluronic acid, ceramides, and rosemary extracts. The formula comes with SPF 42 and broad-spectrum sun protection. The convenient pump packaging makes it easy to take out the product. The price of the cream is in the upper range but the effortless coverage and good staying power make it worth the high price. Hyaluronic acid and ceramides make the skin look plump and radiant. The packaging of the cream is very convenient and offers very high sun protection. The formula is very soothing and works well for dry and sensitive skin. It has a thick consistency that is difficult to blend into the skin. The cream has a chemical smell that can irritate some users. The ingredients of this cream make it a good choice for people with a dry and sensitive skin as it has a soothing formula and covers minor imperfections with its medium coverage. 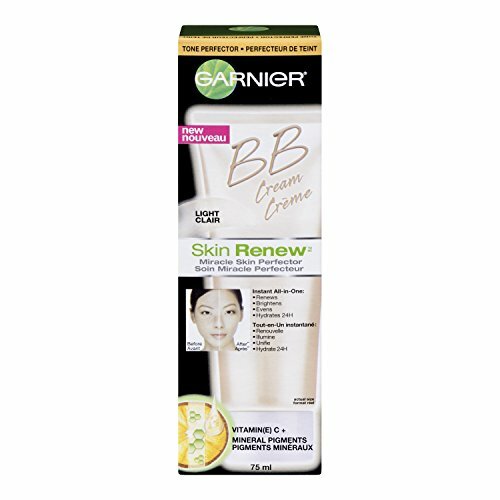 If you are looking for a lightweight BB cream for everyday use, the Garnier BB cream is a good option to consider. It is available in three shades and has a very light formula. The cream comes with SPF15 and contains vitamin C that brightens and protects the skin from environmental damage. It hydrates the skin well and has a staying power of 6-7 hours. The price of the cream is moderate and the quantity lasts for 1-2 months depending on the usage. The shade range is good and suits all skin tones. It has a hydrating formula that makes the skin look even and plump. The price of the cream is affordable and it has a soothing fragrance. The cream is not suitable for people with sensitive skin. It provides sheer coverage that might not cover major unevenness. This BB cream for Garnier is good for daily use as it provides a sheer and lightweight coverage and does not feel heavy on the skin. It blends to a natural finish and makes the skin look bright and healthy. Look for a hydrating formula that has a water-based consistency for dry skin to keep the skin nourished for long hours. Cleanse your face well and apply a moisturizer before using the BB cream for winter months as the skin can get excessively dry during winter. Do not buy creams that contain oil-based ingredients that can clog the pores and lead to breakouts. Some BB creams come in a universal shade that might not suit all skin tones so check the shade range before making a purchase. Do not blend BB creams a lot as they offer a sheer coverage and can go invisible with too much blending. Wear a sunscreen under the BB cream if it has a nice formula but does not offer a broad-spectrum sun protection. Remove the BB cream with a suitable makeup remover before going to bed as it contains similar ingredients as some foundations and can damage the skin if not removed properly. Choose a pump packaging for convenience if it is available as an option to reduce product wastage. Give some time for the formula to settle on the skin and then set it with a powder to enhance the staying power of the skin. Shake the tube well before use as some BB cream formulas can separate in the tube. So these are the ten best BB creams for dry skin that are good for days when you want to use minimal makeup and want to avoid adding a separate sunscreen and concealer to your routine. These BB creams look very natural on the skin and have hydrating formulas that keep the skin looking healthy and plump for the whole day. These useful tips will help you use the BB cream easily without experiencing any dry patches or other skin concerns. Have you used a BB cream for dry skin? Which BB cream is your go-to? Hello. This is Jenny. I’m a beauty and healthiness blogger. I love to inspire all women to be more confident and strike people’s eyes with their beauty and healthiness at all moments. Thanks for stopping by. Is it good if I use BB cream as foundation? Yes, you can. It depends on your need light or thick coverage. Normally, BB cream is the first coverage makeup with light weight followed by foundation with heavier weight. But if you want just natural look I suggest you use bb cream with applying powder at final. Is it possible if I still use BB cream that cause me breakout? Stop using it as soon as possible. I think you shouldn’t use it anymore because it harm your skin a lot. The breakout is the sign of irritation or allergic to the cream. Here are reasons why your skin reacts to the cream that way. First, you might be allergic to some ingredient. Second, the cream is not matched to your skin type. And third, bad formulation. Revlon PhotoReady BB Skin Cream Perfector is really good performance. Skinfood Mushroom Multi Care BB Cream works very well. Jenny! 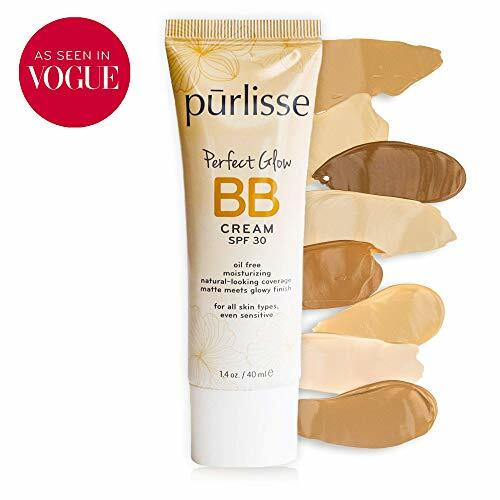 I really love Purlisse Perfect Glow BB Cream. Thank for your suggestion. 2018 Womenangle.com. All rights reserved.